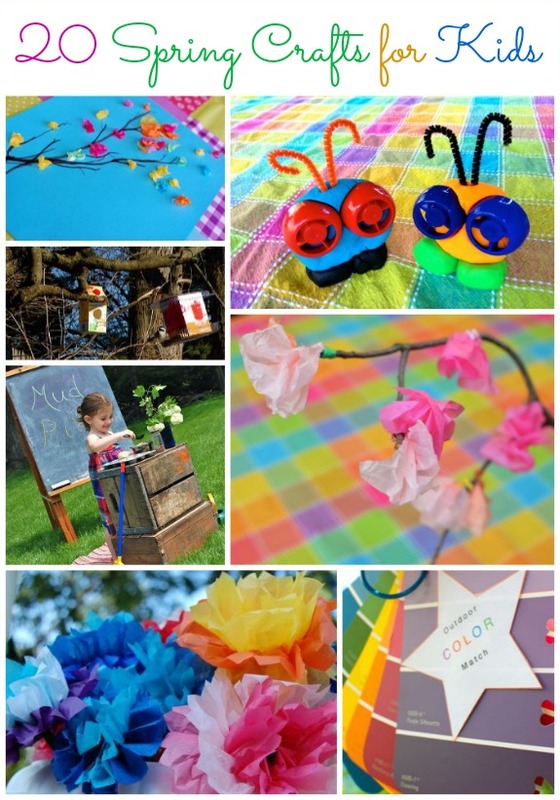 You are here: Home / Crafts / Spring Crafts for Kids! 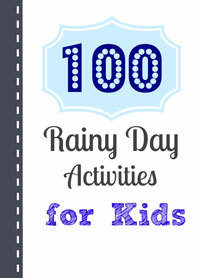 Need a few ideas for what to do with the kids during Spring break? Here are 20 of our favorite crafts and activity ideas to celebrate the season! Despite our forecast for snow flurries later this week (yikes! ), we’ve decided to take matters into our own hands to make Spring arrive just a little bit sooner. Here’s to warmer days, blossoming trees, and sprouting gardens!! 1. Create an Outdoor Mud Pie Kitchen for plenty of imaginary playtime fun! 2. Craft up a Colorful Bird Card to give to someone special. 3. 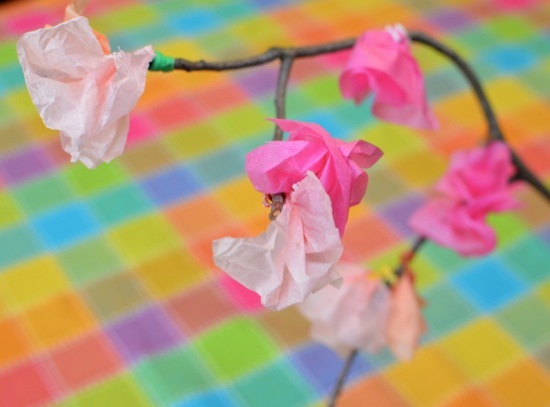 These Cherry Blossoms are simple to make, and a great allergy-free alternative to flowers. 4. Make a Simple Ladybug Craft. 5. How to Make Your Own Sunshine to help with the many rainy days that come with Spring. 6. How to Make Tissue Paper Flowers — craft up a bunch to give to anyone you know who could use a smile. 7. 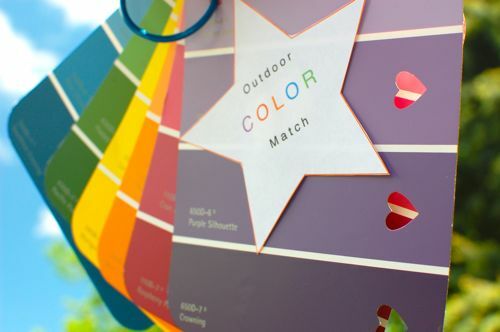 Go on an Outdoor Color Hunt to get the kids moving! 8. Craft up a Spring Chick Card to mail to faraway friends or relatives. 9. 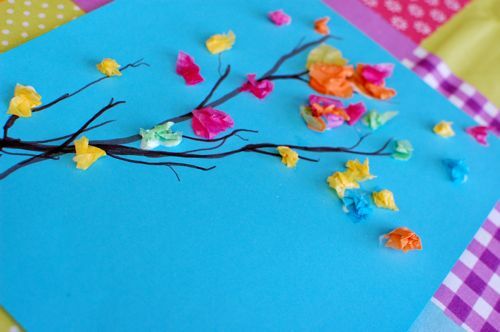 This Colorful Spring Branch Craft is sure to brighten your day! 10. Even the littlest crafters can make these Flower Prints from Soda Bottles. 11. 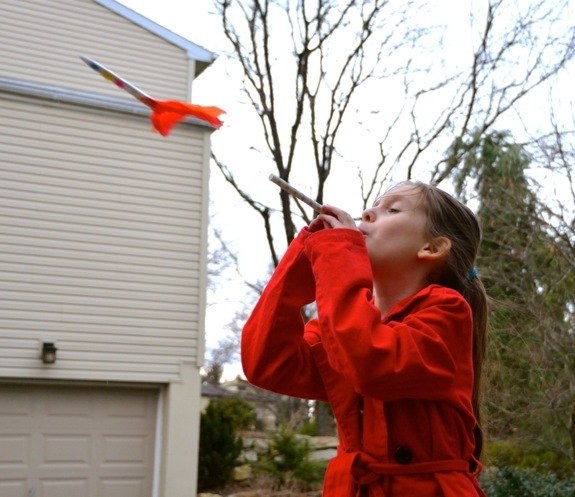 Every parent should know How to Make Easy Paper Kites! 12. Here’s a way to make Inexpensive Field Guides for Tots. 13. 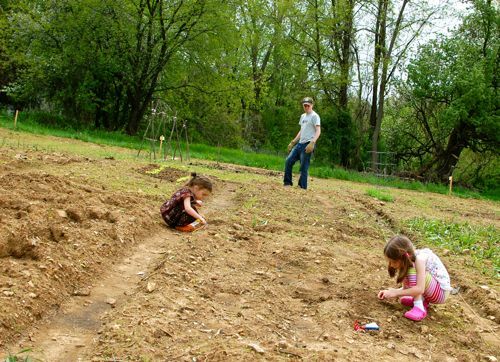 Get the family outside and Start a Garden. 14. 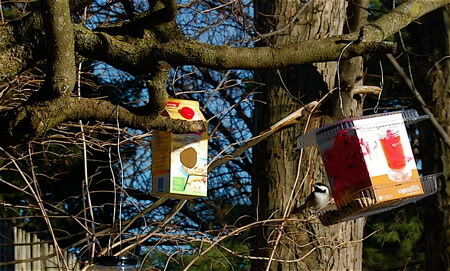 Make Bird Seed Cookies to welcome the birds! 17. Rocket Straws are so much fun to make! 18. These Play Dough Critters are adorable and are made using recyclables. 19. 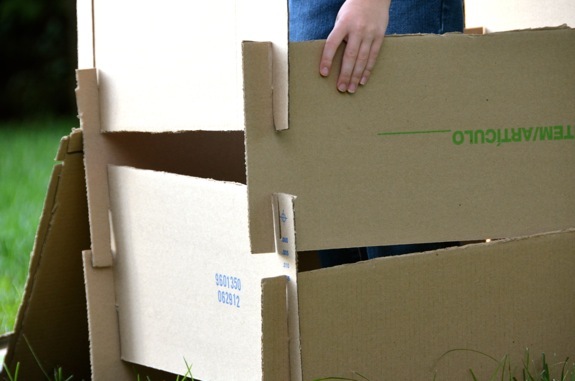 This DIY Cardboard Construction Play Set has endless possibilities for the imagination! 20. For those rainy Spring days, you may want to know How to Build a Simple Shadow Puppet Theater.